Corel Painter 2015 is all new but that does not mean you need to pay full price! 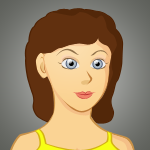 We’ve been able to secure a $40.00 instant coupon of the full version of Painter 2015. Simply follow the above link, add a copy of Painter into your shopping cart, and enter SAVINGSCOREL10 at checkout. Just keep in mind that any sale prices will offset the discount. This coupon works on both the boxed and download version of Painter and only when ordering at the official Corel Store at Corel.com. Checnk out Amazon for some of the best deals on Corel software. Not only do they throw in free shipping on just anything, but they have some of the best prices on Painter 2015. Of course it’s already much cheaper than Photoshop CS6 and there is no need to pay monthly subscription payments like in Photoshop CC or Adobe Creative Cloud. Amazon is also an authorized reseller of Corel’s digital products so you can ship the wait time for the box to arrive and simply download your order after checkout. Not only do downloads help cut packaging waste and help the environment, but a copy will be saved in your Amazon account with your license key if you even need to reinstall it again on another computer. Sale prices will vary and may end without notice. when upgrading to version 2015. If you currently own Corel Painter X2 or X3 then you can upgrade to Painter 2015 for just $229.00 vs. the retail price of $429.00. You will need to currently own the standard version as the academic and OEM versions do not qualify for the upgrade discount. Verification will be required to install and activate the upgrade (this is done by providing your current serial number when installing the program on your computer). This offer is open to existing and qualifying customers only. Students save on Painter 2015. Listed for just $99.99 (which is a whopping 80% off! ), you can pick up the Corel Painter 2015 Education Edition if you are a full-time student at an accredited college, university of primary school. Just remember that you may need to provide proof of eligibility prior to installation. Here at SoftwareVoucher.com we also track a number of other student discounts on software so be sure to see more of the deals that may be available to you. Test of Painter 2015 for free! A free trial version of Painter 2015 is available for Windows and Mac at Corel.com. If you’re a new customer and have not yet tested Painter 2015, then you’ll have a full 30 days to play with the new features and even edit your Photoshop files (Painter supports Adobe Photoshop files). Once 30 days is up (from the date installed, not 30 days of usage), you can either purchase the license or uninstall it off of your computer once it stops working. 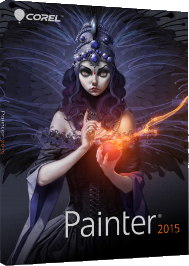 Corel Painter 2016 Release Alerts! When do we expect to see Painter 2016 released? We are keeping a close eye on all of the Painter 2016 release date rumors, expected updates and beta news, all coming directly from the folks who work closest with Corel software. If you’ve found an offer that appears to be expired or is not giving you the discount as it should, then please let us know. We monitor all of the Painter 2015 coupon codes and promotions on a daily basis, but sometimes a deal can expire before we have a chance to catch it (hey, we’re not perfect). If a code is required to active the special price, then be sure you are entering it exactly how it appears here on this page (otherwise it will not work, which is not our fault). Whatever difficulty you’re experiencing, we are here to help you get the best deal possible on Corel Painter.